Complete run of 2013 Culver Citizens now online! 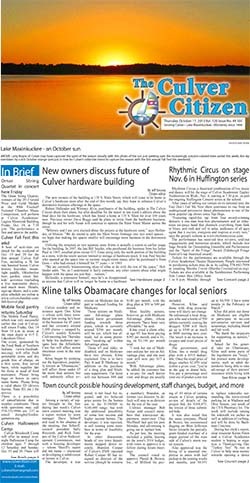 The entire year’s worth of Culver Citizen newspapers from 2013 is available, full-text and searchable, to add to our existing collection of more than 20 years’ worth of Culver newspapers, which can be accessed here. Choose a link below to start your trip back to 2011!